Richmond Hill Tree Service is here to take care of all your hedge trimming needs. We provide one-time trimming and regular hedge maintenance for residential and commercial properties in and around York region. Our professional arborist and landscaping team provide a full range of tree services in Richmond Hill, Scarborough, Aurora, Markham, King, Newmarket, Vaughan and the rest of the Greater Toronto Area. Our expert landscapers in Richmond Hill have years of training and experience in various hedge trimming and pruning techniques. They have perfected their skills and are here to help you optimize the health and beauty of your hedges. We cater to everything from small hedges, shrubbery, bushes as well as large feature and boundary hedges. We come fully equipped with up to date tools and safety equipment that allows us to expertly trim your hedges as quickly and efficiently as possible. With Richmond Hill Tree Service, having beautifully lined hedges is just as simple as giving us a call. Overgrown hedges are not just unsightly, they are unhealthy and can even pose a hazard to people and property. Regular and careful hedge trimming is essential to maintaining a healthy garden particularly for hedges, flowering plants and small trees. Hiring the right professionals for the job is equally important, incorrect trimming can be unhealthy for the plant and can even make your hedges look butchered. Our Richmond Hill landscaping professionals know exactly what your hedges need, from the best time to trim down to maintaining a clean shape that allows for a healthy growth. A proper trim allows majority of the leaves to receive their equal amount of sunlight while keeping them at the right height and thickness. With Richmond Hill Tree Service, you can no doubt enjoy and attractive hedge that increases curb appeal and adds value to your property. Another advantage of having well-trimmed hedges is the added security, it provides just the right coverage that offers privacy from the outside world. Trimmed hedges can also create noise that can alert homeowners of possible intruders. ​When Should Hedges be trimmed? The frequency of trimming garden hedges will depend on the type of plant, but as a general rule, it is advisable to trim hedges at least twice a year. Spring is an ideal time for a hedge trimming, it removes unsightly winter damage and prepares the plant for new growth. Another trim during the late summer or early fall is important to prepare for optimal growth as well as maintain the shape during the plant’s dormant period. 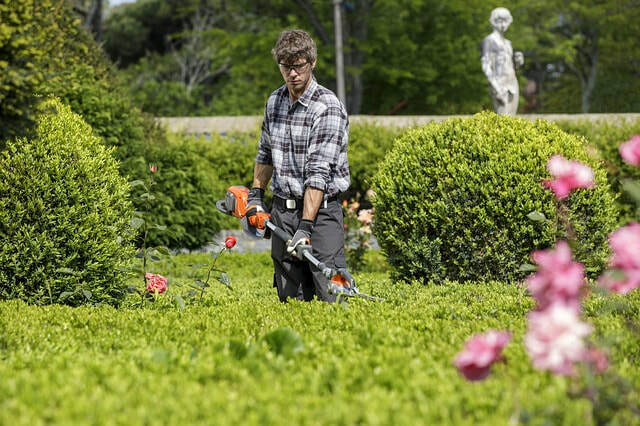 ​If you are not sure whether your hedges need trimming at this time, we are here to help. Our highly skilled team can perform variety of tree care services, including maintenance hedge trimming and tree pruning in Richmond Hill and surrounding areas. As a locally trusted York region tree removal and tree care service, we guarantee that your shrubs will be in great hands. Our proficient landscapers aim to please with expertly shaped hedges that make is designed to make your garden a joy to look at as well as optimize your property’s curb appeal. For residential and commercial tree services including hedge trimming in Richmond Hill and the rest of the York region, give us a call at 647-490-9067 or simply leave us a message on this page for a FREE estimate.